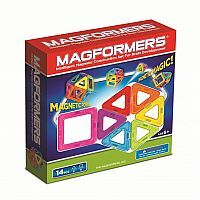 Discover Magformers! It's creative play in motion! 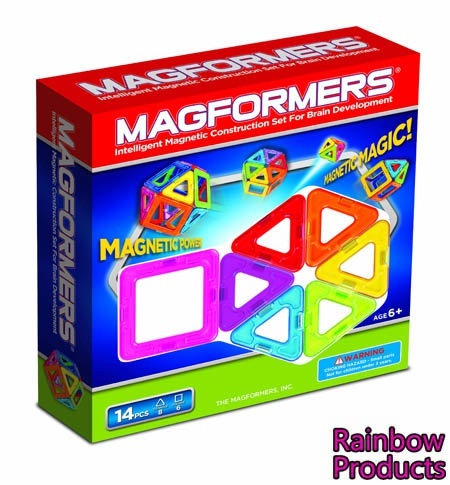 This 3-D, multi-colored 14-piece building set is the perfect combination of magnetism, geometry, creativity, and fun! Extremely powerful neodymium magnets are safely encapsulated in all sides of the eight brightly-colored triangles and six squares that always connect. This 14-piece set is a great introduction to Magformers, and is compatible with all Magformers shapes and accessories. 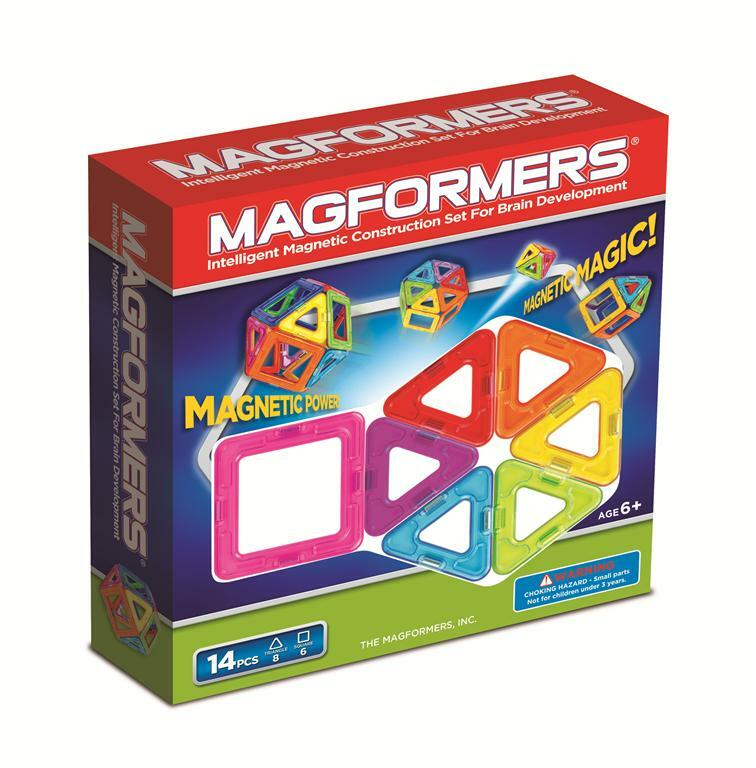 Magformers are durable and safe, made from ABS plastic, and BPS-free. 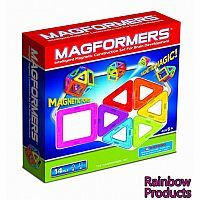 The industry leader in magnetic building toys for children, it is Magformers commitment to providing a high quality, reliable product that inspires the creators of the future.